Bitter, cool; heart, small intestine and bladder meridians entered. 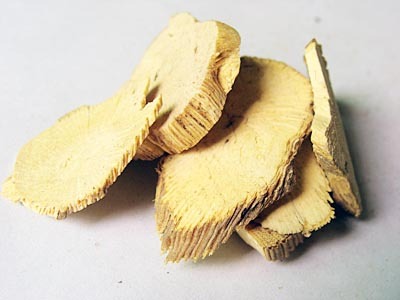 Clear heart-fire, promote diuresis, stimulate the menstrual flow and promote the milk-secretion. Galactostasis, edema, sore throat, amenorrhea, pharyngitis, stranguria with turbid discharge, difficulty and pain in micturition, irritable feverish sensation in chest, crampy pain of whole body. Decoct 3~6 g, or made into pill or powder. It is contraindicated for qi deficiency, spermatorrhea and pregnant women.